What happens when Content Marketing works? We are not talking about just getting subscribers, but truly being known as one of the best resources in the world for your niche. Everything you dreamed of will come true, right? Your business will get so many leads you will see rapid growth, you get invited to speak at industry conferences all the time, and you have more flexibility to create content the way you want. It really can be great, but there are issues. Sometimes the thing you are ... See More known for becomes something not to be known for anymore. Maybe it isn’t great to be known as the Direct Marketing gal anymore and you want to pivot. 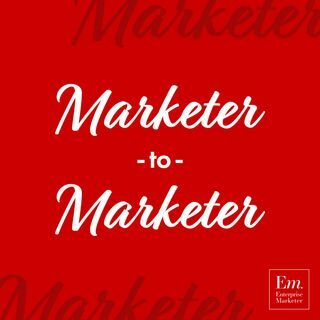 In this episode, Melanie Deziel, the Native Advertising gal, and Jay Acunzo, the Podcast guy, join the show to talk about the evolution of their brands and the ways they have included frequent pivots to ensure they are not isolated into a single bucket during their growth as content creators. This has been an excellent season and we are looking forward to launching more shows in this season soon.